To find direction while in the northern hemisphere point the hour hand of an analog type wrist watch at the sun. 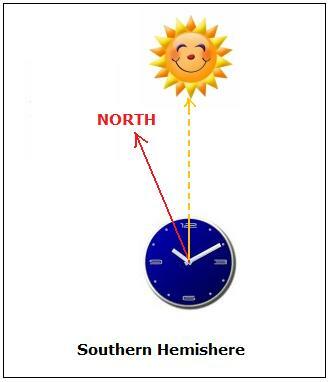 South is halfway between the hour hand and the 12 o’clock position. 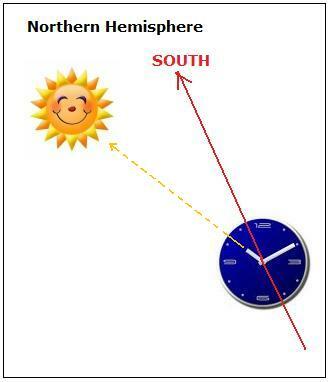 To find direction while in the southern hemisphere point the 12 o’clock position on your watch at the sun. North is halfway between the 12 o’clock position and the hour hand. Note: The United States is in the Northern Hemisphere.